At least as far back as 1516, when the Bavarians first instituted the Reinheitsgebot – the German law requiring beer be made with only grain, hops, water and (once it was discovered) yeast – people have looked down on adding additional ingredients to brews. Some drinkers take the stance that adding anything else, like fruit or spices, bastardizes the beverage. Tough guys will tell you that drinking these kinds of concoctions means you’re not a true beer lover. So when market research firm Mintel recently released a report stating that the US beer industry has seen an 80 percent increase in “flavored” beers over the past five years, it’d be easy to react by saying that people have given up on traditional beer flavors, that brewers have gone soft and that fruity beers are here to appease non-beer drinkers’ palates. “Beverage industry analysts” have even gone so far as to claim that the move to flavored beer is a cynical money grab by brewers to try to appeal to a specific demographic of young adult women. But that doesn’t tell the whole story. Traditional beer flavors have been gone for a long time – if by “traditional” you mean the glut of pale lagers that filled the American beer scene up until the recent craft beer explosion. In the past couple decades, many beer drinkers have come to consider Bud, Miller and Coors little more than alcoholic water as a slew of new beer styles with more hops, different malts and a wide variety of yeasts have hit bars and store shelves. But brewers can only experiment with hops, grains and yeast so much. Granted, these three ingredients can create an endless number of unique brews, but the possibilities grow exponentially with the addition of other ingredients. And most brewers are not blindly throwing fruit or chocolate or coffee in their beers to appeal to some fickle new generation of taste buds. For most brewers, creating flavored beers is an expansion of the experimentation the craft industry has been involved for over a generation. Brewers aren’t going soft: They’re continuing to expand their creative horizons. 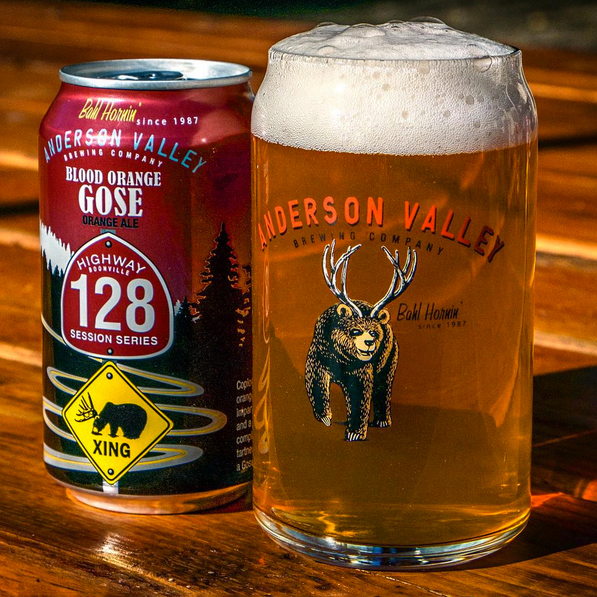 Breweries aren’t making strange styles like apricot Berliner Weisses or a cranberry Goses to try to broaden their appeal; they’re doing it because they’re hoping to make a damn good beer. And damn good beers are exactly what beer drinkers want to drink, additional flavors or not. To imply that most drinkers who enjoy fruit or other flavored beers are into these styles because they are easy-drinking crossovers undermines how much America’s beer palate has evolved. Grapefruit IPAs have exploded because beer lovers have embraced the delicate dance of fruit and hops, not because they don’t want their beers to taste like beers. Same with stouts brewed with coffee, cocoa or hot peppers. Beer lovers have come to appreciate how additional ingredients and flavors accentuate and even challenge preconceived notions of their favorite beer styles – not simply steamroll them. So, sure, some people may see stats about the explosion of new flavored beers and take it as evidence that beer is being corrupted. However, I prefer to look at it from the opposite angle. Of course, not every flavored beer is perfect, but in many cases, brewers continued willingness to experiment with unique flavor combinations is actually a reflection of how far the American beer industry has come, not how low it has sunk.